Pure Evil is on the move, baby, step aside. Dr. 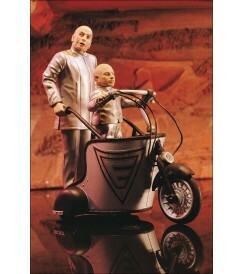 Evil and Mini-Me are riding in style on this three-wheeled chariot. 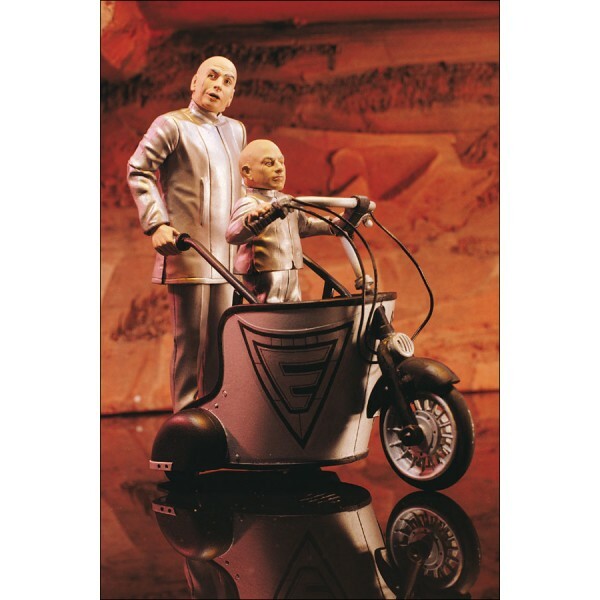 The sound base in the cycle says, "Breathtaking, I shall call him ... Mini-Me," "Come, Mini-Me," "I will not tolerate your insolence" and "Eeeeeee." Specialty retailers get versions that say, "Could someone put a freakin' bell on him or something?" "And he fits easily into most overhead storage bins," "Eeeeeee" and "Come, Mini-Me."